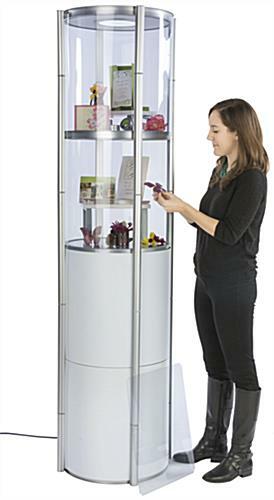 This twist display case provides a tall tower showcase without the hassle of a difficult set up and the struggle of cumbersome transporting. 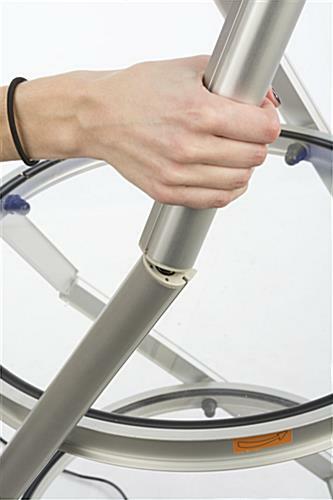 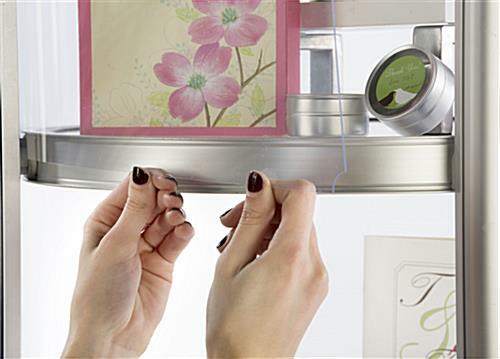 Flexible aluminum frames allow the stand to continue turning clockwise until the posts snap into place and are straight. 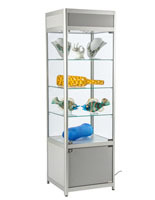 Including 1 LED interior spotlight, the illuminating display case creates a focal point to direct attention towards products placed on the 4 clear shelves. 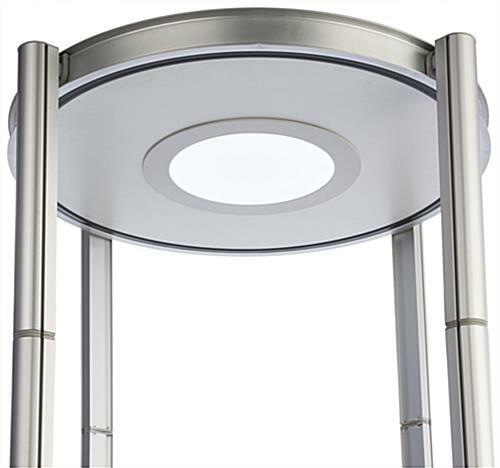 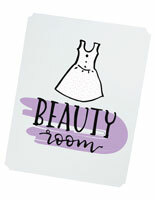 Both white and clear flexible PVC panels can be secured to the frames to complete the unit. 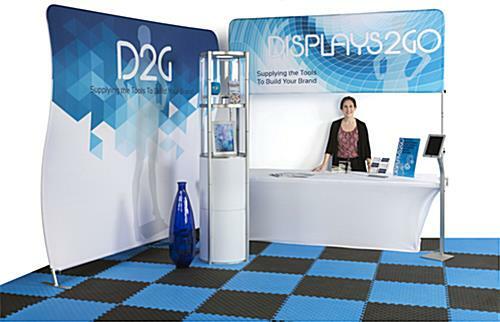 Arrange the panels in various configurations to create a custom trade show exhibit fixture to shelve products. 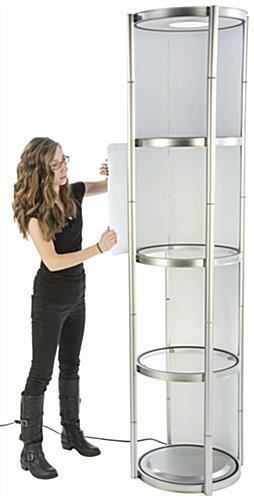 When each event is finished knockdown is just as easy as set up. 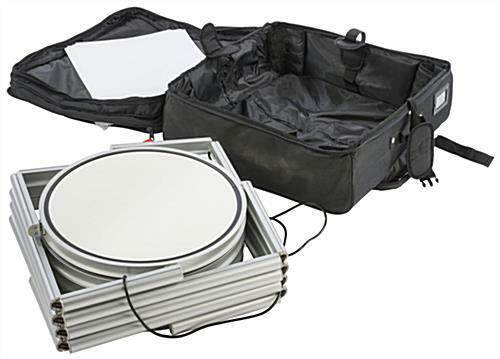 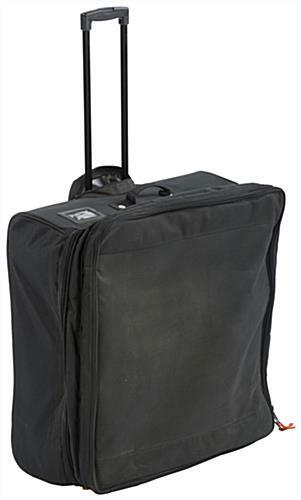 Simply remove the panels and rotate the frame counterclockwise to collapse and pack the unit in the portable carrying bag. 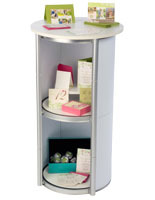 Utilize the display case to create a custom product trade show presentation for companies and services.